How'd you like to see some hunks go out on a baking spree? Wishes do come true just as one of the country's premiere bakeshops Tous Les Jours has invited The Lifestyle Hub to share an afternoon at the kitchen with Kapuso hunks Mikael Daez, Enzo Pineda and Bryan Benedict. Would you like a taste of their cakes? 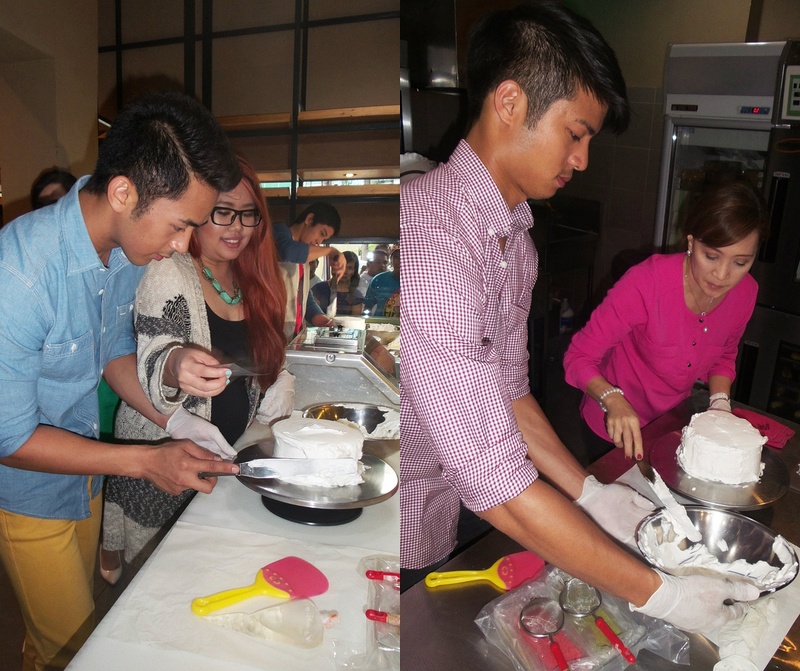 Enzo Pineda, Mikael Daez and Bryan Benedict of Protege tried their baking skills by making one of Tous Les Jours signature dessert, the Strawberry Cake. Mikael, Bryan and Enzo with their partners Nina Daza- Puyat of Appetite Magazine, Regina Gutierrez of Zen Health, the Tous Les Jours manager, Trina Lorenzana of GMA Social Media and GMA talent Stephanie Sol.